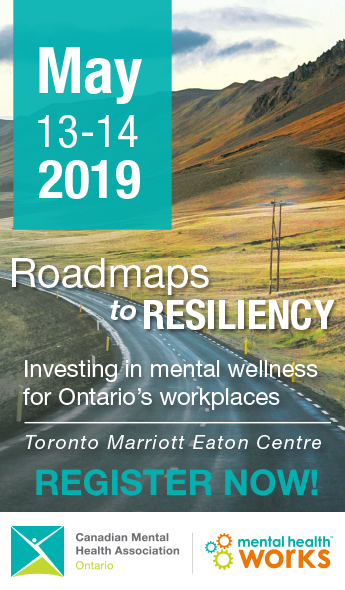 Registration is now open for two free webinars on workplace mental health. Mental Health Works is offering webinars in August on managing depression, anxiety and stress in the workplace. Each webinar will provide an overview of the issue, as well accommodations and tools that employers can use in order to create psychologically healthy spaces. The first webinar will focus on depression in the workplace and will be held on August 29. Visit the event page to register. The second webinar will focus on stress and anxiety in the workplace and will be held on August 30. Visit the event page to register. Mental Health Works is a national social enterprise of CMHA, dedicated to advancing the field of workplace mental health through skills enhancement training, awareness education, and stigma reduction efforts.